Showing 81-90 of 188 items. Leading performing arts publisher Nick Hern Books is to publish Doctor Foster: The Scripts, the complete scripts to the first series of Mike Bartlett's hit, award-winning BBC One drama. Doctor Gemma Foster is a woman seemingly in control: a trusted GP, the heart of her town, a woman people can trust. But her life is about to explode. Suspecting her husband of having an affair, Gemma throws herself into an investigation that will propel her, her family, and even her patients into chaos. Bit by bit, Doctor Foster uncovers secrets that shock her to the core. Now she has to choose how to react. One thing is certain - she is going to behave in ways she could never have imagined. Doctor Foster: The Scripts contains the complete scripts to all five episodes of the first series, plus exclusive bonus material. Doctor Foster premiered on BBC One in September 2015, starring Suranne Jones and Bertie Carvel. The series drew a weekly audience of over 8.2 million viewers, peaking at over 10 million for the finale, and was the BBC’s highest-rating new drama of the year. It won two prizes at the National Television Awards 2016, including Best New Drama. The nominees for this year's Manchester Theatre Awards were announced today (8 January), with plays by Luke Norris, Anna Jordan, Caryl Churchill and Sam Holcroft among those shortlisted. So Here We Are, Luke Norris' Bruntwood Prize-winning drama, is nominated for Best New Play and Best Studio Production. A compassionate look at young lives cut short and a touching portrait of childhood friendships under strain in adult life, it premiered at the HighTide Festival in September 2015, in a co-production with the Royal Exchange, Manchester, before transferring to the Royal Exchange later that month. It was praised by The Reviews Hub as 'a powerful piece of writing [that] will stick in the memory'. The Manchester Theatre Awards honour achievements at venues across the Greater Manchester area. In addition to drama and musical categories, opera and dance are also represented. The winners of this year's Awards will be announced at a ceremony at HOME, Manchester, on 4 March. Leading theatre publisher Nick Hern Books has partnered with VAULT Festival, London's biggest and most exciting arts festival, to publish Plays from VAULT, an anthology comprising five of the best plays from the upcoming VAULT 2016. Eggs is a dark comedy about female friendship, fertility and freaking out, by Florence Keith-Roach, ‘rising star of the London theatre scene’ (Evening Standard). Two women, living very different lives, are united by their quick wit, love of nineties’ dance music and a mounting alienation. In Mr Incredible, Adam is single. He doesn’t like it. He misses Holly. He deserves Holly. Doesn’t he? A play about love and entitlement by Camilla Whitehill, the writer of the ‘warm, evocative, and intelligent’ (Stage) Where Do Little Birds Go? Mickey and his team of Cornermen never have much luck in the boxing world. Until, that is, they sign a young fighter whose winning ways catapult them to a level they’ve never known before. ‘A striking new play by an exciting new writer’, Oliver Forsyth (Scotsman). Run explores what it means to love, to lose, and how to grow from a boy into a man, as a gay Jewish kid sneaks out over Shabbat to meet his boyfriend – and his universe implodes. Stephen Laughton’s one-man play is presented by VAULT Festival favourites Rogues’ Gallery. VAULT 2016 runs from 27 January - 6 March 2016, in The Vaults, Waterloo, London. The festival features more than 100 different shows, plus parties, gigs, bars and more. 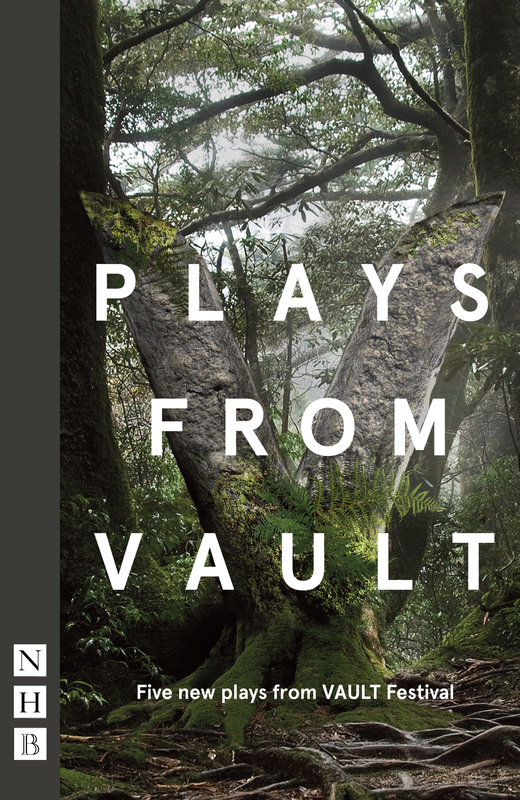 Plays from VAULT is published 28 January - pre-order your copy now. 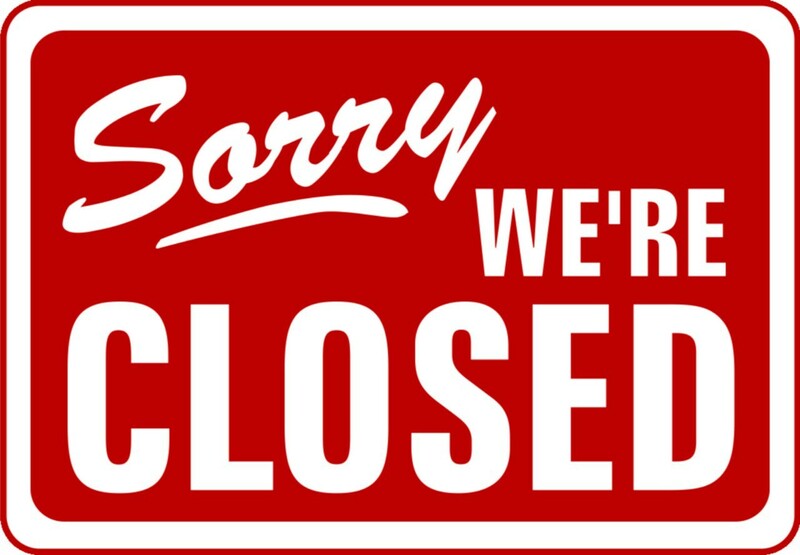 The Nick Hern Books website is now closed for orders from today (Friday 18 December) until Monday 4 January. Please note that, as our office is now closed for Christmas, your order will not be processed until we return on Monday 4 January. If you require your books more urgently, please try an alternative retailer. Otherwise, place your order and we'll dispatch it as soon as we can when we return. 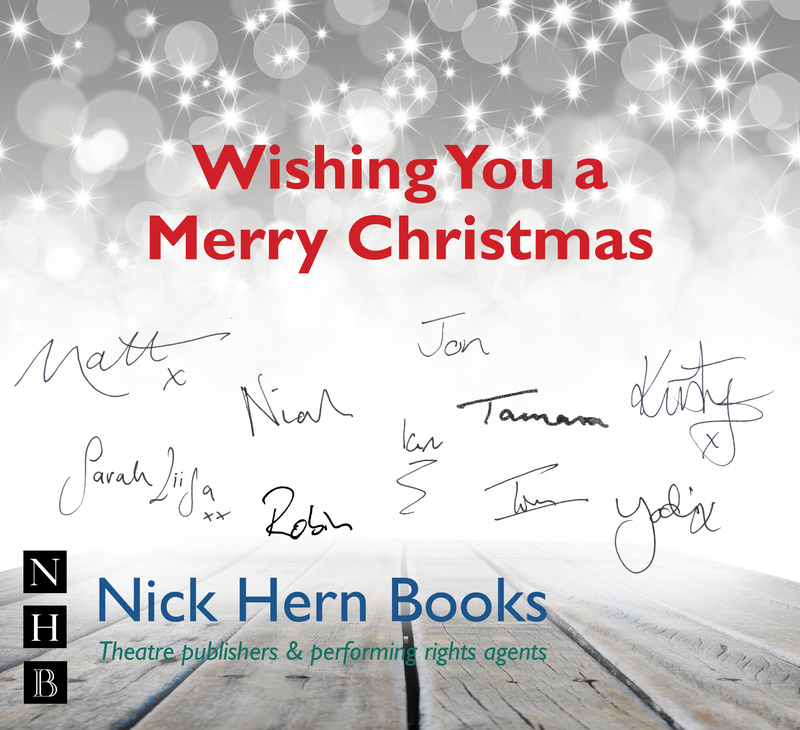 Happy Christmas from all at NHB! The nominations for the Writers' Guild Awards were announced today (7 December), with NHB authors represented across a number of categories. Temple by Steve Waters is shortlisted for Best Play. This engrossing drama, first seen at the Donmar Warehouse in May 2015 in a production starring Simon Russell Davies, is a fictional account of the 2011 Occupy London protests at St Paul's Cathedral. It was praised by the Telegraph as 'a triumph... a riveting drama that unpicks the institutional and psychological turmoil the saga caused'. Laura Lomas' hard-hitting Bird is nominated for Best Play for Young Audiences. A cutting-edge monologue that throws light on the experience of a teenager in contemporary Britain, Bird centres on fourteen-year-old Leah, who begins to unpick the nature of her current relationship when waiting up for her boyfriend to call. The play premiered at Derby Theatre in October 2014, before touring the UK. The Stage called it '[a] beautifully crafted monologue with rich theatrical texture'. Laura Lomas is also nominated for Best Radio Drama for her BBC Radio 4 play Fragments. NHB writers swept the playwriting categories at the Writers' Guild Awards 2015, with James I from Rona Munro's trilogy The James Plays taking home the prize for Best Play, and Girls Like That by Evan Placey winning Best Play for Young Audiences. The winners of 2016 Awards will be announced at a ceremony at RIBA, London, on 18 January 2016. Win a massive prize worth £1000 from Nick Hern Books and Theatre Tokens! Love theatre? Then this is the perfect Christmas prize draw for you. We've partnered with Theatre Tokens, the UK's biggest national theatre gift voucher scheme, to offer theatre-lovers the chance to win a massive prize worth £1000. Also included in the prize is £200 of Theatre Tokens, which can be used at over 240 venues nationwide including London's West End. They have no expiry date, and can be redeemed in person or by phone. To enter this amazing prize draw, click here. Entries close on 31 December 2015. Get 25% off in the NHB Christmas Sale - now on! The festive season is upon us once again, and with it the scary prospect of finding another round of presents for all those people in your life – even the really difficult ones to buy for. But if they love theatre, then look no further: we have hundreds of great Christmas reads for theatre-lovers to choose from, right here. And we've even got a fantastic offer as a special present for you, too. From today, 1 December, until 12pm (noon) on Friday 18 December, all Nick Hern Books titles are available at 25% off via our website. For more information, visit the Christmas Sale page here. The winner of the Bruntwood Prize for Playwriting 2015 was announced on Tuesday 17 November, with the award going to first-time writer Katherine Soper for her debut play Wish List. Katherine, who wrote the play for her dissertation while studying at the Royal Central School of Speech and Drama, receives £16,000, a professional production at the Royal Exchange Theatre, Manchester, and publication by Nick Hern Books. All entries to the Bruntwood Prize for Playwriting are submitted anonymously, with the writers' identities not known until the final prizewinners have been selected. The winners were selected from more than 1,900 entrants by judges from across the theatre industry, including former National Theatre director Nicholas Hytner, actor and playwright Meera Syal and Royal Exchange artistic director Sarah Frankcom. Previous winners of the Bruntwood Prize published by NHB include Anna Jordan, Janice Okoh, Vivienne Franzmann and Ben Musgrave. 2015 marks the tenth anniversary of the Bruntwood Prize for Playwriting, which has grown from being a regional competition to become the UK's biggest national competition for playwriting. Nick Hern Books has been a proud partner of the Prize since its inception in 2005, publishing a dozen prizewinners to date, plus subsequent plays at the Royal Court, Soho Theatre, Hampstead Theatre and elsewhere. To celebrate the occasion, NHB founder Nick Hern reflects on a decade of the Prize on our blog here, and we've teamed up with Exeunt Magazine to offer an inside look at the Prize in the podcast below. Presenter Tim Bano speaks to previous winner Anna Jordan, judges and readers to explore how the process works. Get 50% off for 24 hours in our #LoveTheatreDay Sale! We love theatre. It's what we publish. And as our readers and followers, we reckon you do too. So as Wednesday 18 November marks #LoveTheatreDay 2015, we've put together a great offer to help you celebrate. From 10:00 GMT on Wednesday 18 November, all Nick Hern Books titles are available at 50% off via our website, for 24 hours only! Whether you're searching for the perfect Christmas gift for someone special, a book to help you develop your skills and advance your career, or just a great read, then look no further. Plus, get free UK postage & packaging on all orders of £30 or over. Our #LoveTheatreDay Sale ends at 10:00 GMT on Thursday 19 November. So don't miss your chance to grab a bargain – click here for more information, and get shopping! Actions: The Actors' Thesaurus, the first app designed for use in the rehearsal room and based on the bestselling book by Marina Caldarone and Maggie Lloyd-Williams, is now available at the special discounted price of £2.99 until 8 November (prices will vary in other currencies). Actions: The Actors’ Thesaurus is a fully searchable, easy-to-navigate thesaurus of active verbs, that helps actors refine their acting choice until they find the action they require to make each line come alive. For more information, and to download your copy now, click here.